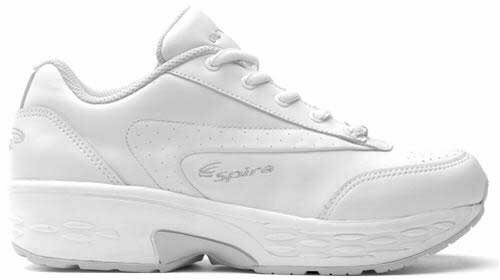 Save 1% on the Spira Classic Women's Leather White by Spira at Helix Alumni. SKU: SPIRA-WOMENS-CLSLTR-11.0. MPN: SWW202/SWW202W. Hurry! Limited time offer. Offer valid only while supplies last. Patented WaveSpring technology in both the heel and forefoot provides maximum cushioning and energy return. Wet/dry slip-resistant as well as stamped SR Rated for safety. If you have any questions about this product by Spira, contact us by completing and submitting the form below. If you are looking for a specif part number, please include it with your message.